Is there any product that can protect bottles for liquor, wine, or other spirits that are sold on shelves that have a very tight shelf clearance? Loss Prevention Systems, Inc. constantly receives feedback from retailers that have such tight shelf restrictions that they cannot utilize bottle cap devices such as EASy Guard and other similar products. Alpha High Theft Solutions has come up with an incredible resolution to this problem-the Crystal Guard bottle cap device. This product contains a clear acrylic cap that has a very small footprint on the top. Crystal Guard protects your liquor and wine merchandise the exact same way that other bottle cap devices do, yet also have additional features. One of these accompanying features includes a transparent cap, which enables the customer and merchant to see the tax stamp and product labels. Crystal Guard products are available in four sizes; small, large, extra-large, and tall. All four of these sizes accommodate the vast majority of liquor, wine, spirits, and other similar merchandise bottles available in the market. The device is also easily applicable to your merchandise with just a simple twist of the hand. It can also be easily removed by a merchant by using an Alpha S3 key. The product is also available in RF and AM configurations. Crystal Guard is an elegant and visually appealing solution for your bottle security. One of the biggest benefits of any Alpha Bottle Security products is product denial. This benefit prevents shoplifters and thieves from being able to open the bottle in the store. If the shoplifters do remove the bottle from the store, chances are the bottle will shatter prior to them removing the cap. Loss Prevention Systems, Inc. has participated in beta sales with Alpha High Theft Solutions to help evaluate their bottle solutions. Our researchers found from independent testing that Alpha’s bottle security products resisted attacks from shoplifters exceptionally well. Alpha’s Crystal Guard design also utilizes pain-points underneath the bottom of the cap to prevent thieves from attempting to pry the device off. This feature discourages theft while causing discomfort to the shoplifter without severely injuring or cutting the assailant. Loss Prevention Systems, Inc. (LPSI) is known as the premier national seller inside the U.S. regarding Alpha High Theft Products and Checkpoint Solutions. We have got nationwide sales, supplies, as well as services. 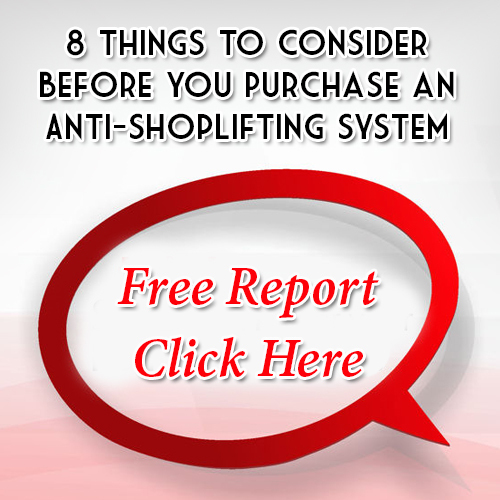 Loss Prevention Systems delivers much more than shoplifting products. Our expertise in retail theft prevention allows LPSI to supply real life training and methods for loss prevention. Eliminate theft for good with Loss Prevention Systems (LPSI), Checkpoint, and Alpha High Theft Solutions systems. To learn more about Alpha Bottle Security, contact 1(866)914-2567 right away!